Phil Fish, creator of the indie hit Fez, had a pretty turbulent year it seems. His long awaited game finally shipped out to critical praise, and a documentary about his experience making the thing took home top honors at the Sundance Film Festival. At the same time, his reputation still precedes him as a guy who talks a little too much for his own good. But, he's heard his fans loud and clear. Polytron will be bringing their indie darling to other platforms. Fish himself confirmed the news in an elongated personal New Year's post on his website. 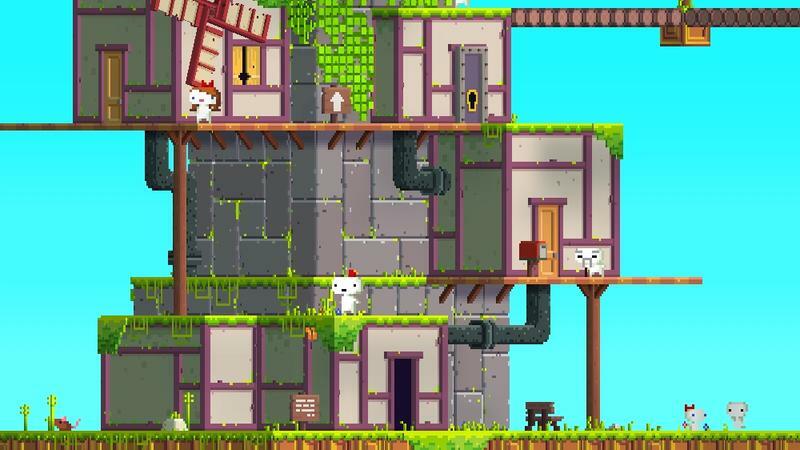 For one, FEZ will finally be ported to other platforms. Yes, i've heard you, dozens of people emailing me everyday telling me how much of an idiot i am for not porting FEZ to everything. Fish ran into trouble with Microsoft earlier last year with an update patch that erased players' file saves. Judging that the small percentage of complaints was not worth Microsoft's asking price for a new update, Fish deemed it unnecessary to fix. Hopefully, the new platforms, Steam and PlayStation Network being the most likely candidates, will allow Fish to have a bit more freedom in updating his game. Fez is a sweet little atmospheric puzzle platformer currently available on Xbox Live for 1,200 MS points. The documentary surrounding its development, as well as other indie success stories like Super Meat Boy and Braid, is called Indie Game: The Movie and can be downloaded through Steam for $10. Both are easily worth their asking price.